Mohammed Alexander Russell Webb (November 9, 1846 - October 1, 1916) was born in Hudson, New York to Mr. & Mrs. Alexander Nelson Webb. He was the editor of St. Joseph Gazette and of Missouri Republican before he was appointed by President Cleveland to be Consular Representative to the Philippines. The following year in 1888, he publicly declared himself a Muslim. 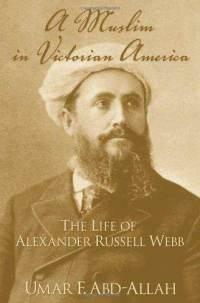 He was among the first Anglo-American converts to Islam. He founded the American Islamic Press as well as one of the earliest mosques in New York City. 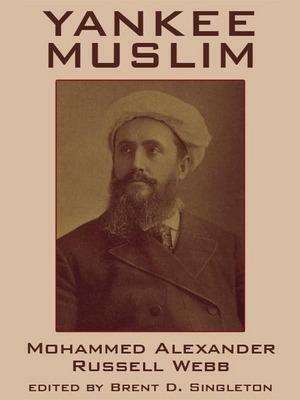 His organization Muslim Mission, which he founded in Manhattan in 1893, was among the first Islamic Missions in the United States. He was the only Muslim represented at the 1893 Parliament of the World’s Religions. On September 20th and 21st, 1893, he gave two speeches. His speeches were entitled: The Influence of Islam Upon Social Conditions and The Spirit of Islam and were published in the large two volume proceedings of the Parliament called The First World’s Parliament of Religions (1894). From 1898 to the time of his death on 1st October 1916, he lived in Rutherford, New Jersey. He died at the age of seventy and was buried in Hillside Cemetery on the outskirts of Rutherford. After his death his efforts were largely forgotten. There continued to exist a vague coming to Islam in the African American community and there exists some lines in the writings of the first American Islamic Nationalist, Noble Drew Ali, showing that if he hadn’t met Webb at least he had heard of his efforts. He is buried in Hillside Cemetery, Lyndhurst, N.J.
Duke University has a Guide to the Alexander Russell Webb Journals, 1892 http://library.duke.edu/rubenstein/findingaids/webb/ The collection contains Webb’s “Journal No. 1, From Manila to Calcutta” (142 pp. ), Aug. 29-Oct. 19, 1892, and his “Journal No. 2, From Calcutta to Bombay and Agra” (144 pp. ), Oct. 20-Dec. 15, 1892. This is the first journal that Webb ever wrote (Vol. 1, p. 1). His journal continued beyond Vol. 2; the last sentence was continued elsewhere, and no pages appear to be missing from this volume. A later volume or volumes contained the account of the rest of his journey which is incomplete here.